"We will soon start three important expressway projects that would reduce travel time significantly between Delhi-Katra, Delhi-Jaipur and Vadodara-Mumbai. These would entail a total project cost of Rs 1,32,000 crore," Union Minister Nitin Gadkari said. The government will soon launch three expressway projects-Delhi-Amritsar-Katra, Delhi-Jaipur and Vadodara-Mumbai-soon at a cost of about Rs 1,32,000 crore, Union Minister Nitin Gadkari said on Thursday. The minister also announced Rs 1,500-crore expressway project between Kanpur and Lucknow in Uttar Pradesh. "We will soon start three important expressway projects that would reduce travel time significantly between Delhi-Katra, Delhi-Jaipur and Vadodara-Mumbai. These would entail a total project cost of Rs 1,32,000 crore," Gadkari said. He hoped that the travel distance to these destinations will reduce significantly once the projects are operationalised. As per the plan, Amritsar could be reached via Delhi in up to 3 hours after completion of the Rs 60,000-crore Amritsar-Delhi expressway, which will reduce travel duration by over two hours. Also on the anvil is a project connecting Jalandhar to Ajmer that will bring down the travel time to 5 hours. Meetings in this regard are scheduled with chief ministers of Jammu & Kashmir, Punjab, Haryana, Delhi and Rajasthan. A Rs 1,500-crore expressway project between Kanpur and Lucknow in Uttar Pradesh would also be launched soon, Gadkari said. The project is part of Rs 2-lakh crore highway projects in the state, the road minister said. "Detailed project report is being prepared for an eight-lane access controlled expressway between Kanpur and Lucknow. The estimated cost of the project would be around Rs 1,500 crore," the minister said. Once completed, "Kanpur to Lucknow distance can be travelled in 35-40 minutes", Gadkari said adding that it will be an elevated road. 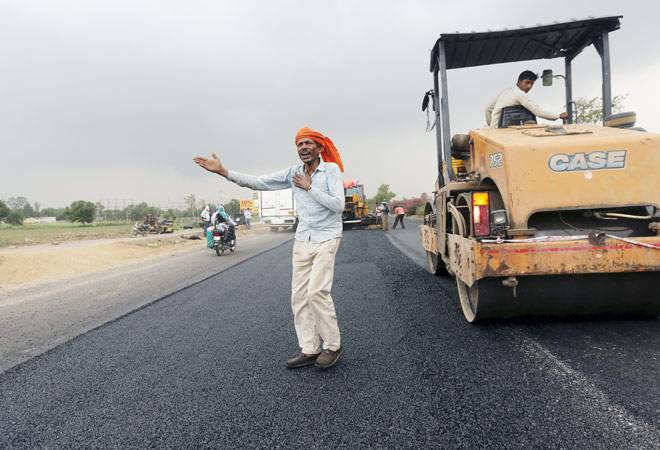 The minister said massive road network would be laid in the entire state and the government has planned at least Rs 2 lakh crore projects of which work on about Rs 70,000 crore projects is underway. Gadkari last month laid foundation of three projects-Rs 806 crore Varanasi-Jaunpur stretch on National Highway No 56, Rs 785 crore Varanasi-Ajamgarh stretch on National Highway No 233 and Varanasi-Gazipur stretch on NH 29. The minister said Rs 868 crore would be spent on Varanasi-Gazipur stretch. These highway stretches are scheduled to be completed by June 2018. Gadkari said these stretches would result in all-round development of the state by promoting seamless flow of cargo traffic and passengers, and also also promote tourism and minimise the accidents. Gadkari said there were plans to promote cargo traffic in a big way on the Ganga river. "Our experiment to transport Maruti cars from Varanasi to Haldia has been successful. Now few other automobile companies like Mahindra have also come forward," he said. The minister said it will be gamechanger and transportation through water will bring down the prices of Maruti cars in North East and West Bengal by Rs 3,000 to Rs 4,000 each. The minister said transportation of steel, cement and fertilisers would also be started soon. "At present 20 lakh tonne of cargo is moved through Ganga which will be expanded to 200 lakh tonne of cargo by 2018, and we are setting up three multi-modal hubs on Ganga." As part of plans to develop waterways and make the Ganga river navigable, Gadkari last month laid the foundation stone of a Rs 211-crore multi-modal terminal in Varanasi. The phase 1 of the multi-modal terminal would be built at a cost of Rs 211 crore and would be ready by August 2018. The terminal is part of Rs 4,200-crore Jal Marg Vikas project to enable commercial navigation of vessels with capacity of 1,500-2,000 DWT Tonnage from Varanasi to Haldia. There are plans to promote seaplanes on Ganga as well.